The Ute Trail is not for the faint of heart. This steep, heavily used trail, located on the southeast side of Aspen ascends 700 feet in just .9 miles. 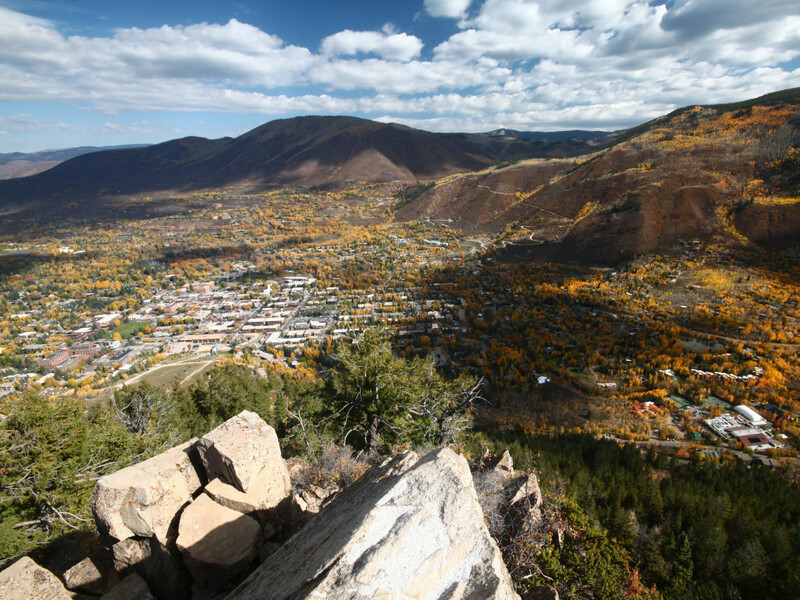 Many Aspen locals hike up the Ute daily to stay in top physical condition. The Ute Trail is not for the faint of heart. This steep, heavily used trail, located on the southeast side of Aspen, ascends 700 feet in just .9 miles. 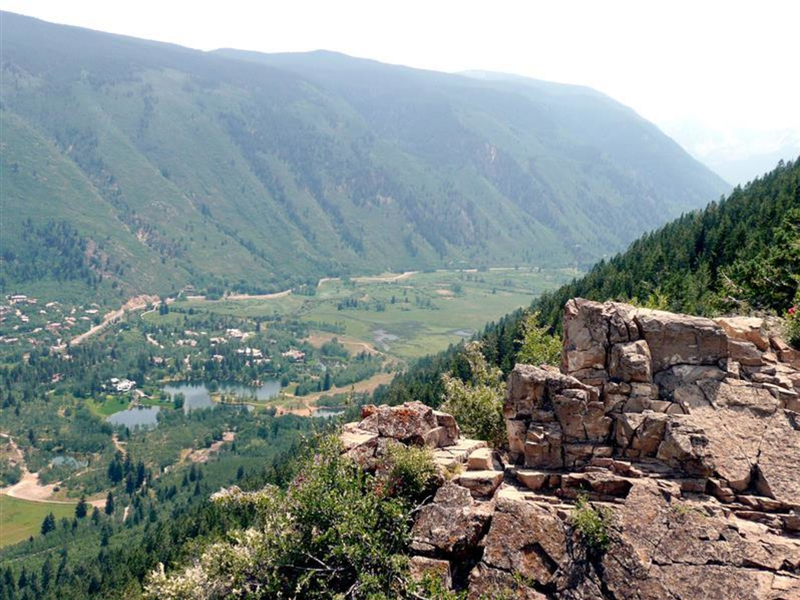 Many hikers use the scenic rock outcropping at their turnaround, located at the .9-mile mark, and others continue for another 2,300 feet to the summit of Aspen Mountain, also known as Ajax Mountain. 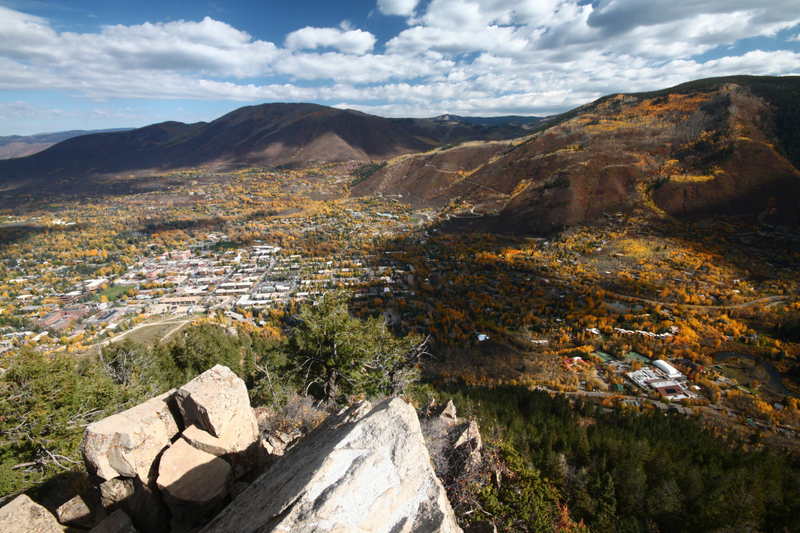 Many Aspen locals hike up the Ute daily to stay in top physical condition. Hikers who make it to the top of Ajax typically take the Silver Queen Gondola down. Whether you hike to the rock outcropping or to the summit of Ajax, you'll be happy you did. 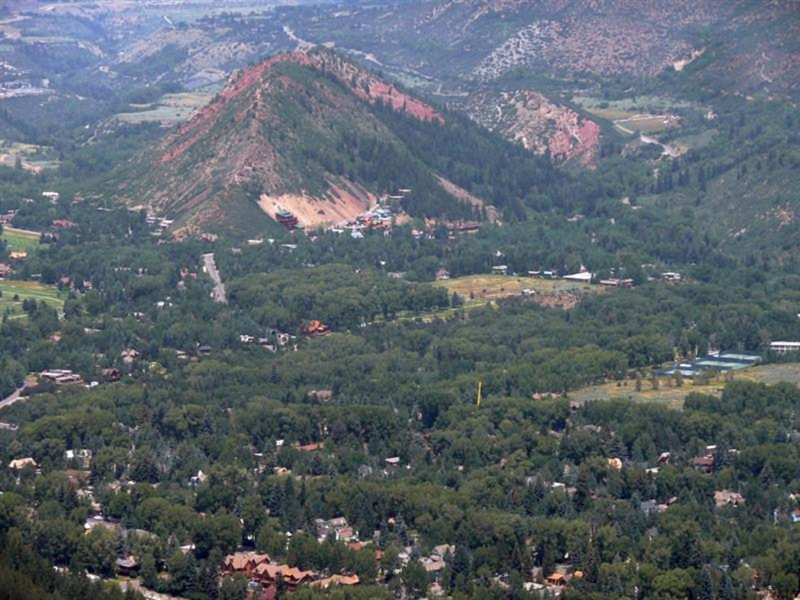 The rock outcropping yields spectacular views of Red Butte mountain and downtown Aspen. From the top of Ajax hikers can look out over Aspen Highlands, Independence Pass and the Collegiate Peaks. Good footwear is strongly recommended as the footing is slippery, particularly when very dry. Be on the lookout for falling rocks from hikers on higher switchbacks as it is all but impossible not to knock them off. Additionally, the Ute Trail is mostly in the shade, so it's a great mid-summer hike when you're looking to escape the hot sun and still get a get a workout in. The free ride down in the Silver Queen Gondola provides even more opportunities to check out the surrounding mountains. Experienced hikers and those acclimated to Aspen's elevation will have a much better go on the Ute, but anyone who appreciates a good mountain view will be happy they made the trek. Head east on Highway 82/Main Street and stay straight at the four-way intersection next to City Market to get onto Original Street. Left continues on Highway 82 towards Independence Pass. Head south on Original Street until it turns into Ute Avenue. Continue east on Ute Avenue until you reach the trailhead on the right (south) and parking on the left (north). The Ute Trail is also accessible from the Ute Bike Path.